Record-breaking cold (and the most unwelcome polar vortex!) demands we bust out our winter finest. This neon-zipper coat is a good place to start. Wearing this outfit in the polar vortex would result in frostbite in about 2 seconds flat! Yes, a few more layers (and a full length snowsuit?) would be needed! I now understand the name of your blog: le catch: get before it's gone! By the time I got around to deciding to go for that H&M denim top, my size was sold out. Do you know if they restock? Or do they generally just sell out and bring in new products? Must have that top. Perfect transition into Spring! 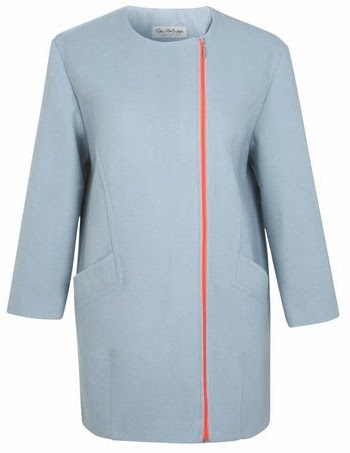 Any idea how this coat would fit or if this brand is true to size?